Lindau, Germany, 6 July 2015: Nobel Laureates from across various spheres have come together to call for urgent increase in global investment in education to United Nations Secretary General Ban Ki-moon and the international community. 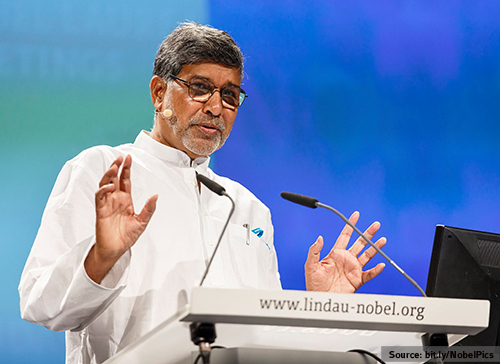 The Call, led by Indian Nobel Peace Laureate (2014) and the Honorary President of Global March Against Child Labour, Kailash Satyarthi, is the first in history on protection of children from slavery, where Nobel Laureates from different disciplines have come together and strongly demanded increased education investment for sustainable development. 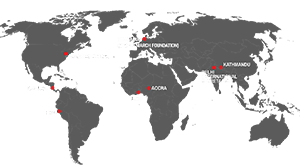 The Call especially addresses the leading education experts, advocates and international donors who will come together on 7 July in Oslo at Oslo Education Summit. “Financing for education is an emergency. In failing to invest in education, we are failing our present and future. A sustainable society stands on the four pillars of – People, Planet, Prosperity and Peace. Education is the seal that binds these pillars individually and jointly. I refuse to accept that education is a privilege. Education is a child’s birthright and the governments must ensure that the most marginalized get access to the same quality of education as the most privileged globally,” said Nobel Peace Laureate, Kailash Satyarthi. “The year 2015 gives us an historic chance to script a new story for the earth and humankind. Since the turn of the new millennium will be the most important year when the global community will join hands in crafting the bold, ambitious and momentous Sustainable Development Goals. We lay our faith in your collective wisdom in reflecting the hopes and aspirations of more than 7 billion of us, especially the millions of children, youth and adults in poverty who are denied an education, and exposed to discrimination, exploitation and violence. With a staggering 168 million children trapped in child labour, and some 5.5 million in slavery, we urge you to prioritize action to end child slavery, trafficking and exploitation, in the new global agreement. We call for elimination of all forms of violence and exploitation against children, and urgent action to end all forms of child labour, including child slavery and child trafficking. More than 58 million children are out-of-school and more than half of these children live in conflict areas, fragile states and in conditions of humanitarian emergencies. Schools and school children are continually under attack. As long as they are denied their right to an education, the world cannot claim to be rightful and just. We call for a global commitment to education for all, and this to be backed by adequate financing. The Oslo Summit of Education for Development occurring this 7 July will be critical for discussions on financing for education. We urge the international community to loosen the purse strings for future of our children, to protect them from exploitation and violence, and to invest in their education.